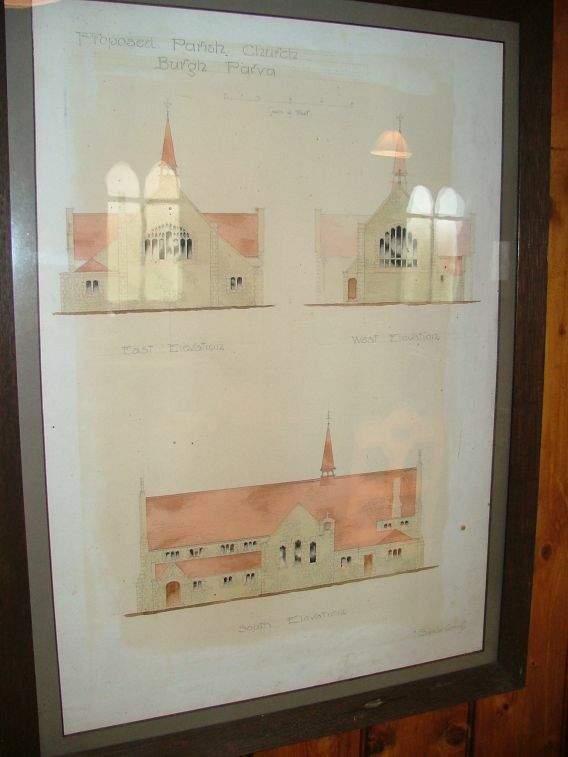 Burgh (pronounced Burra) Parva barely exists, being the western fringe of Melton Constable, so that it is not surprising that by the end of the 17th century the medieval church had been abandoned. However, by the 1870s Melton Constable had become the major railway junction for central Norfolk, and the population ballooned. 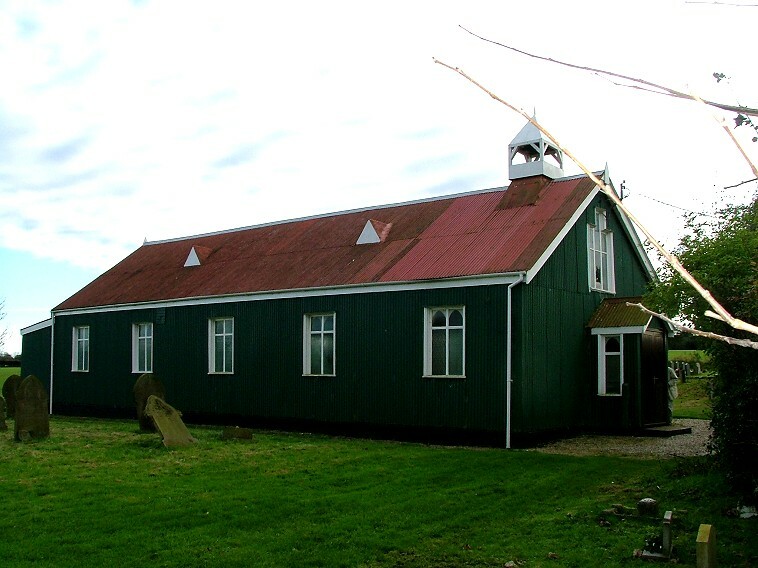 A working class population brought enthusiastic non-conformist chapels, and the Anglican parish church was marooned a mile or so away out on the estate of the Hall. 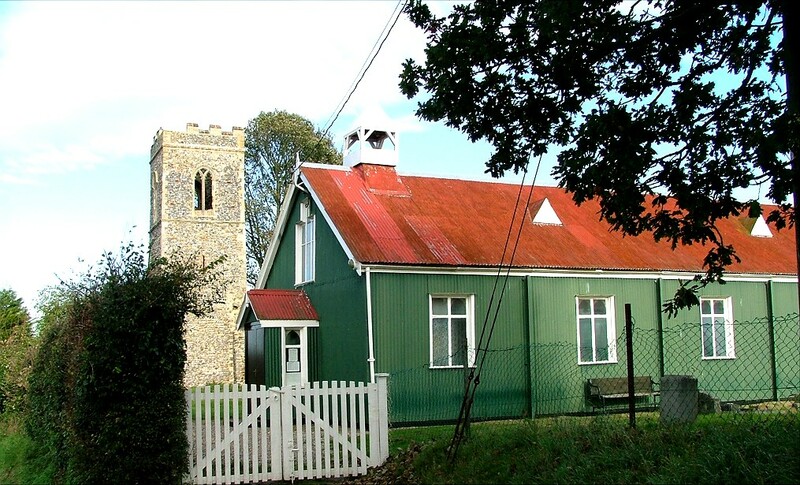 It became imperative for Melton Constable to have an Anglican presence in its urban area, and so a competition was announced for a new church. There seems to have been a huge number of entries, but none of them were quite what was wanted. 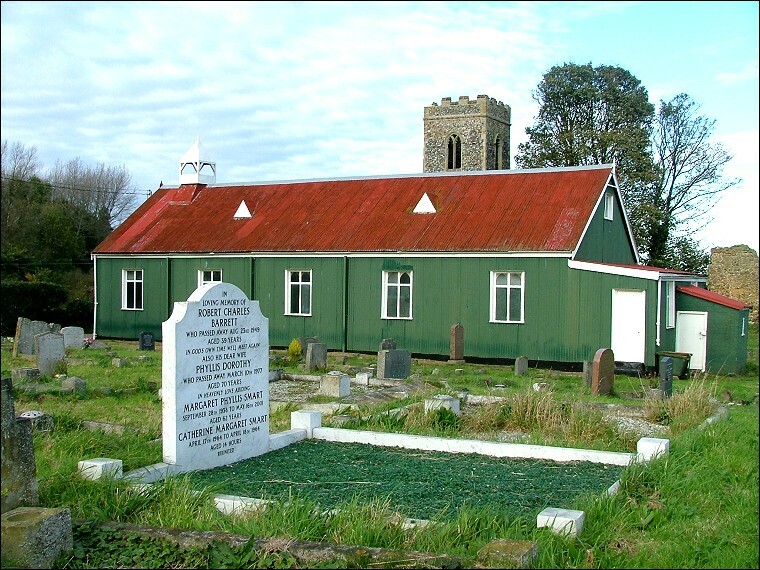 In the meantime, a temporary corrugated iron 'tin tabernacle' was erected in the Burgh Parva graveyard in 1903, at a cost of £270 (about £30,000 today). 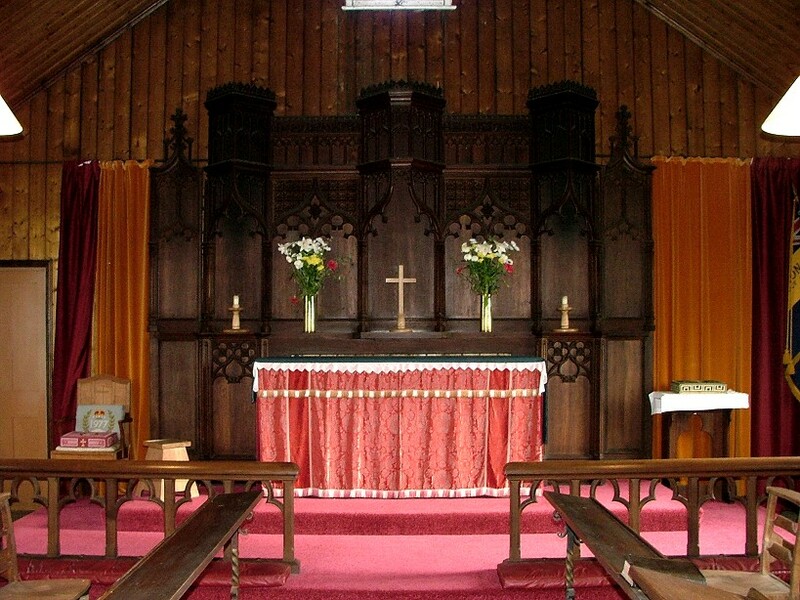 It is still in use, and is very homely inside. 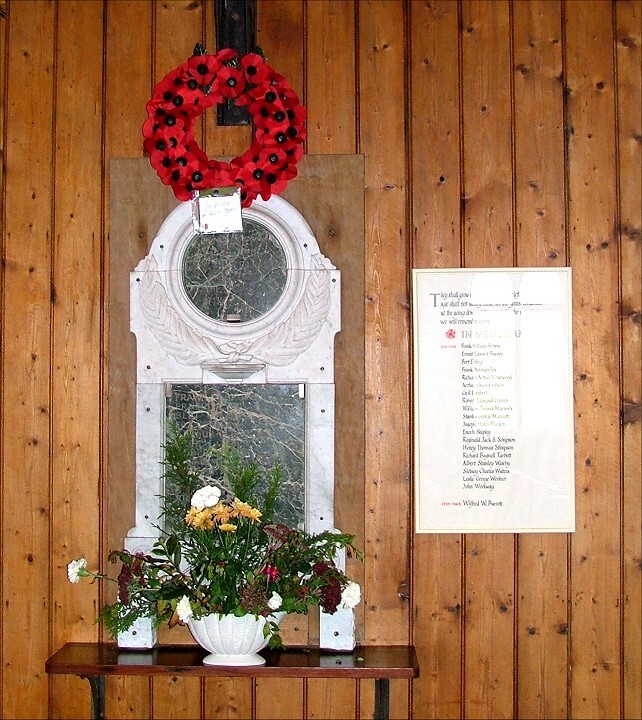 The grand reredos came in 1951 from the bombed church of St Philip, Norwich, and the crack in the war memorial is the only sign of the freak wind that almost demolished the church in 1977. 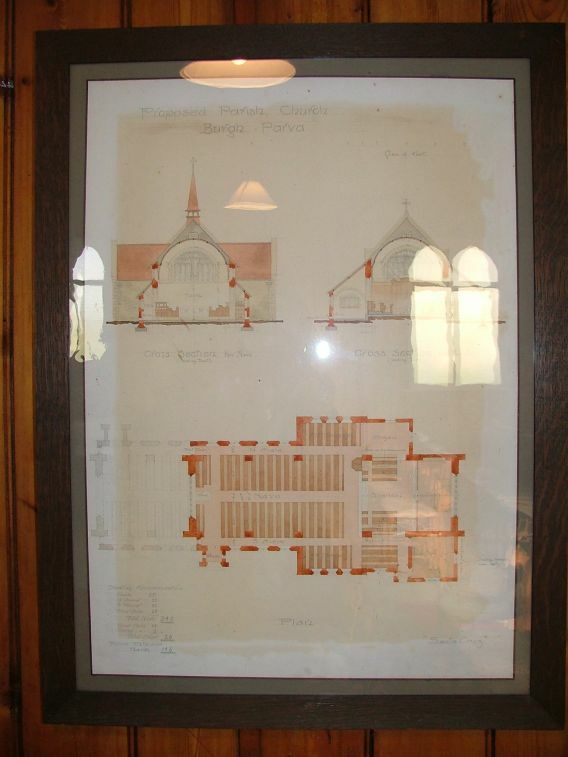 Scattered around the church on the walls are framed copies of some of the various plans for the church that was never built. The lovely lady who gave us the key (and even thanked us for coming to visit!) told me that the local people love the church, not least because its acoustics mean that their singing always sounds wonderful. 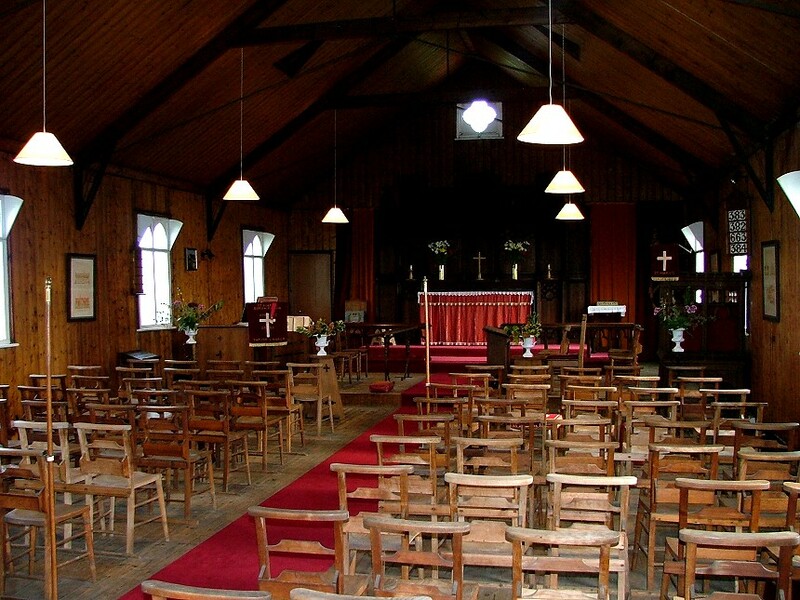 Be aware that local people call this 'Melton church', referring to Melton Constable parish church as 'the Park church'.